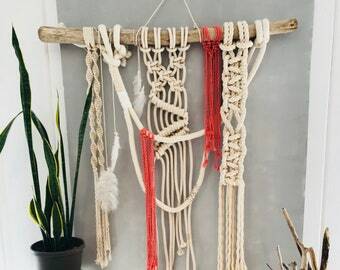 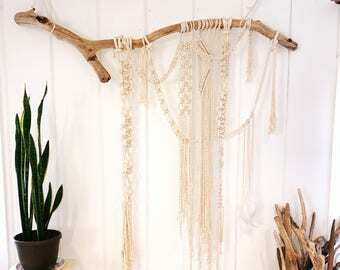 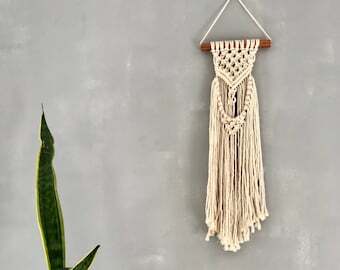 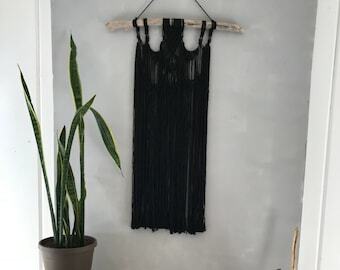 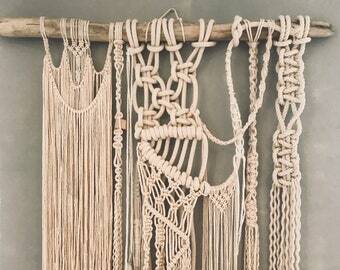 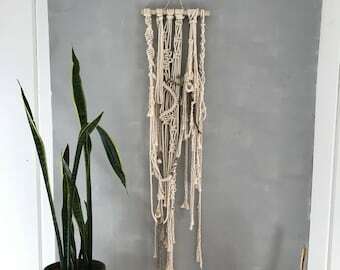 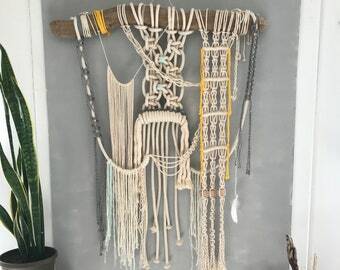 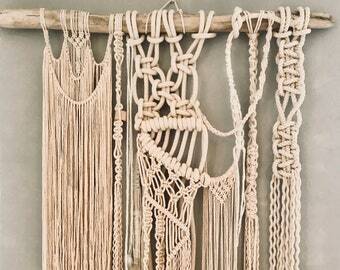 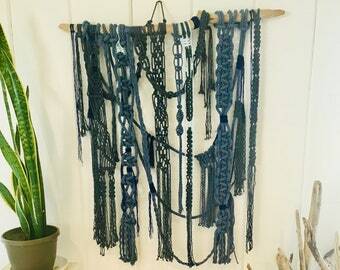 This beautiful large wall hanging is a hand woven macrame piece on a beautiful piece of copper. 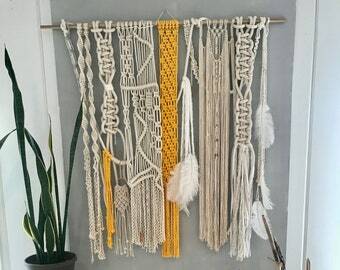 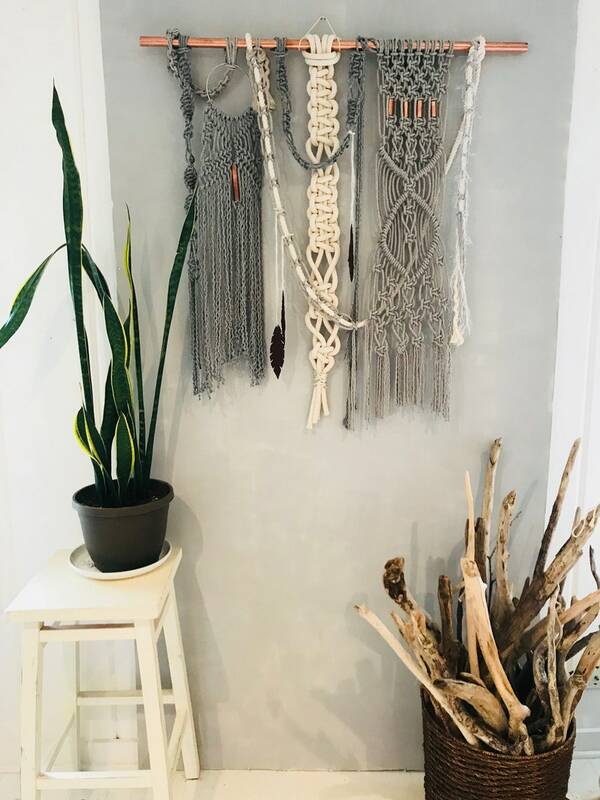 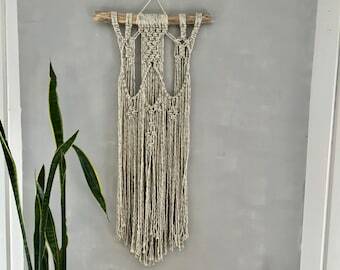 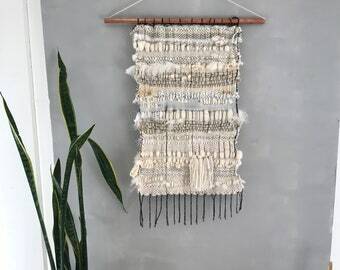 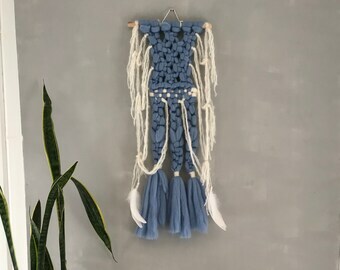 Soft shades of gray and white ropes and yarns are woven together with leather feathers to create a serene and peaceful wall hanging. 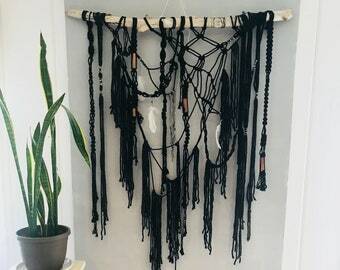 Would look great over a bed or as a statement piece on the wall, or as a backdrop for a special ceremony or party. 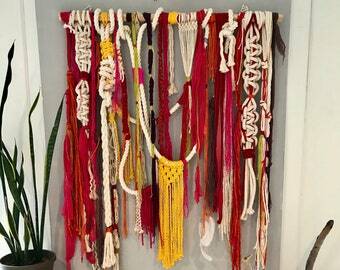 Hand-cut copper beads add a glamorous pop of light and color.